We LOVE our alumni! They teach us a lot of things about the opportunities just waiting around the corner after graduation. We are so proud of our students and feature their success stories HERE on our blog. This month we’d like to introduce Jessica. She is an animal lover, a writer, and an advocate for bullied teens. To learn more about Jessica, read below! “Hello! My name is Jessica. I am currently living with all of my pets, which include: two cats, two dogs, and six little puppies (only one of which I will keep). What have I been up to since graduation? Well, to answer that is simply, I have been working my tail off. But not just at work. I have many personal goals in life as well– which I am working toward in exciting ways each day. Let’s begin with my work life. I work at a Bon-Ton, which is near my current home. I am a make-up and beauty adviser. I love my job so much. I get to work with amazing, fun people everyday. I have the opportunity to make others feel good about themselves when they leave my counter. It has been a challenge to transition into working, but I’m working through it a little everyday. I have also been working on my most loved passion: my writing. I recently entered a contest for a newspaper. This contest aims to find a new advice columnist for the newspaper agency. This would be a very exciting opportunity for me because I love to give advice. I am hopeful about the future. Additionally, I have written a children’s book. I am excited to one day become a published author. I hope that my children’s book can be the first of many others to come. Currently, I am working on a novel. It may be a while before it is finished. It contains a ton of different characters and plot lines. The intricate details make for a lot of hard work on my end, but I am excited to complete the project. Finally, I am also managing my time to work on a personal website. It is a work in progress. 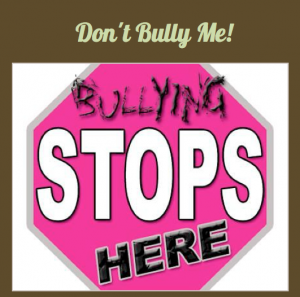 My website is designed to help kids, teens, and adults to understand the effects of bullying. Bullying can have a lot of negative effects on people. I feel that it is important to get help, talk to someone, and learn to live life to the fullest. My website hopes to help people dealing with bullying. In the future, I hope to go back to school to pursue my interests. But, until then I will continue to work on several projects with the hopes of succeeding.